+ x, Chapter 34 is the artist’s first solo museum exhibition in New York and will feature approximately thirty-five paintings on the sixth level of the Guggenheim Museum’s rotunda from October 12, 2018, through February 3, 2019. The exhibition is organized by Tracey Bashkoff, Director of Collections and Senior Curator, with David Horowitz, Curatorial Assistant. In this chapter of paintings, Quaytman examines af Klint’s systematic visual language and spiritually charged subject matter through the lens of the Guggenheim’s founding ethos, which was distinguished by a deeply held belief in the transcendent power of abstract art. This ideal was rooted in the art and theories of Vasily Kandinsky and culminated with the commissioning of Frank Lloyd Wright to design a museum that would serve as a “temple of spirit.” Af Klint’s work was similarly grounded in spirituality and ideas of human progress, while also drawing deeply on the scientific methods and discoveries of her time. Quaytman’s title evokes this rationalism by quoting the familiar mathematical symbols that af Klint used esoterically in the course of her radical artistic pursuits. The characters + × appear on the first page of many of the roughly 125 notebooks left behind by af Klint, in which she methodically documented her work, her interpretations of its significance, and her spiritual experiences. Quaytman’s interest in these symbols, and the notebooks in which they appear, lies in what they imply about af Klint’s scientifically informed approach to art making, an approach that is reflected in the diagrammatic character of much of her work. Employing a variety of conceptual and pictorial strategies, Quaytman explores the factors that enable a painting to generate meaning, whether they be its content, context, or mode of production. Works are organized into focused groups referred to as “chapters,” which are sequentially numbered and uniquely titled. The subject matter of each chapter is shaped in response to the particular history, architecture, and local identity of the venue where it is first shown. With few exceptions, individual paintings share their chapter’s moniker. Paintings are executed on plywood panels with beveled edges and conform to a consistent set of geometrically interrelated dimensions. Despite these rigorously held consistencies, Quaytman’s work is not reducible to a systematically applied set of rules. Instead the artist uses these parameters to explore subjects as diverse as philosophy, science, and art history, while maintaining an underlying formal unity that permeates each of the chapters, as well as the ever-growing body of work they comprise. Quaytman’s decision to conceive of this ongoing project, begun in 2001, was based on an awareness of af Klint, who understood each of her paintings as part of a larger whole. R. H. Quaytman lives and works in New York and Connecticut. Born in Boston in 1961, the artist received a BA in painting from Bard College in Annandale-on-Hudson, New York (1983), and went on to attend the postgraduate program in painting at the National College of Art and Design, Dublin (1984), and the Institut des hautes études en arts plastiques, Paris (1989). Quaytman was awarded a Rome Prize fellowship in 1992, and in 2015, the Wolfgang Hahn Prize. From 2005 through 2008, Quaytman served as the director of Orchard, an interdisciplinary and intergenerational artist-run gallery in New York’s Lower East Side. 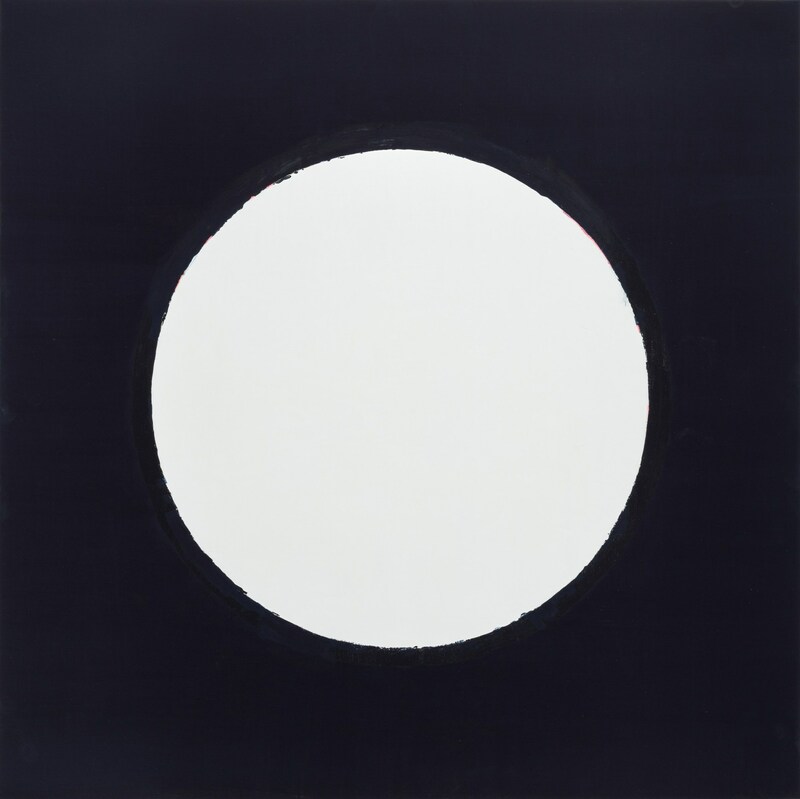 Quaytman has had solo exhibitions at the Institute of Contemporary Art, Boston (2009); San Francisco Museum of Modern Art (2010); Neuberger Museum of Art, Purchase College, State University of New York (2010); Kunsthalle Basel (2011); Renaissance Society, Chicago (2013); Tel Aviv Museum of Art (2015); Museum of Contemporary Art, Los Angeles (2016); and Secession, Vienna (2017); among other venues. The artist’s work has also been shown in the Lodz Biennial, Poland (2004); the Whitney Biennial (2010); the Venice Biennale (2011); and Documenta 14 (2017). R.H. Quaytman: + x, Chapter 34 is supported in part by the Solomon R. Guggenheim Museum’s International Director’s Council. Hilma af Klint: Paintings for the Future is supported in part by LLWW Foundation, the Helen Frankenthaler Foundation, The Barbro Osher Pro Suecia Foundation, the Robert Lehman Foundation, and The American-Scandinavian Foundation. The Leadership Committee for these exhibitions, chaired by Maire Ehrnrooth and Carl Gustaf Ehrnrooth, Trustee, is gratefully acknowledged for its support, with special thanks to Rafaela and Kaj Forsblom; Helena and Per Skarstedt; Johannes Falk; Miguel Abreu Gallery; Galerie Buchholz, Berlin/Cologne/New York; and Barbara Gladstone. Founded in 1937, the Solomon R. Guggenheim Foundation is dedicated to promoting the understanding and appreciation of art, primarily of the modern and contemporary periods, through exhibitions, education programs, research initiatives, and publications. The Guggenheim constellation of museums that began in the 1970s when the Solomon R. Guggenheim Museum, New York, was joined by the Peggy Guggenheim Collection, Venice, has since expanded to include the Guggenheim Museum Bilbao (opened 1997) and the Guggenheim Abu Dhabi (currently in development). The Guggenheim Foundation continues to forge international collaborations that celebrate contemporary art, architecture, and design within and beyond the walls of the museum, including the Guggenheim Social Practice initiative, the Guggenheim UBS MAP Global Art Initiative, and The Robert H. N. Ho Family Foundation Chinese Art Initiative. More information about the Solomon R. Guggenheim Foundation can be found at guggenheim.org.